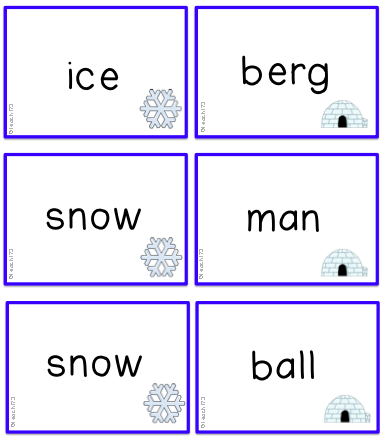 Gingerbread, snowball, fireplace . . . . ’tis the season to teach compound words fa la la la la! 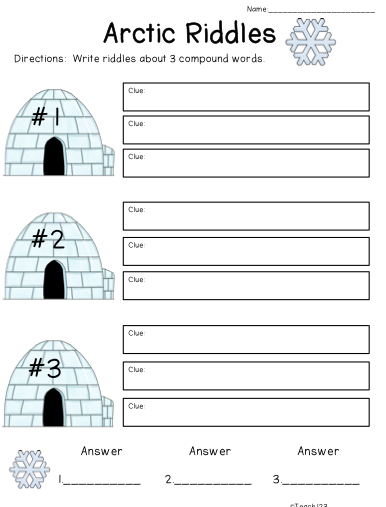 This seems like the perfect time of the year to teach compound words so I thought I would share a few resources with you. 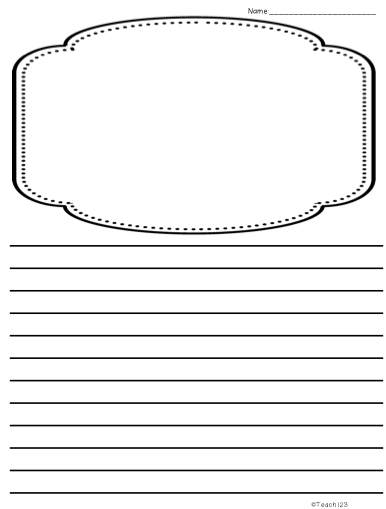 I just added a compound word center packet to my store last week. This packet comes with sixty word cards that can be made into compound words. After making compound words, students will write a riddle about three of their words. Early finishers will write a story using five of their compound words. 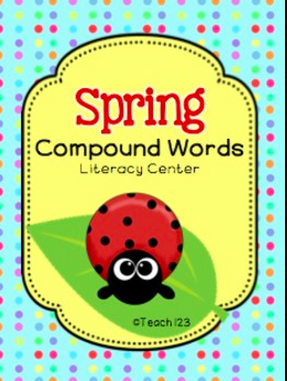 I also have a Spring time compound word packet.